Vibrant shades that are easy to apply and when you want a change of colour, simply peel off and apply a new one for your look or outfit. The product is suitable for both children (3yrs+) and adults and contains NO NASTIES whatsoever! So mums and daughters can now enjoy some truly wonderful, colourful nails that can be applied on a Friday evening and whipped off before school on a Monday morning! And yes, it will even stay on whilst doing the washing up! suitable for Vegans. The cleanest nail polish on the planet, and no Remover needed! 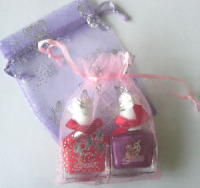 Snails NEW water based nail polish - Washable Nail Polish for kids - Safe & clean. With just these three ingredients, Snails is 100% washable and does not need any toxic smelly nail polish remover. Simply wash with soap and water when dress up time Snails Nail Polish is perfect for weekends, parties & little girls who just want to dress up. Perfect for mums as they do not stain clothes & spills can be easily removed. 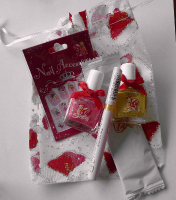 One of the best benefits of Snails Kids Nail Polish is that it is a water soluble product. This means that it will not stain clothes, carpets or floors. They are hypoallergenic and fume-free as well.